All you need to know about Glowsticking? Having a blast at night clubs, rave parties, and entertaining performances are exciting to youth. Enjoying with friends at these events can add much excitement. These are the events where dancing is more prominent. Using colorful glow sticks when dancing makes the party more elegant and it multiplies your enjoyment. Have you ever heard of glowsticking? It is nothing but dancing with glow sticks. Glowsticking is mostly seen at rave parties. Also, it is seen in many entertaining parties where celebrities and dance performers dance with glow sticks. Glowsticking is generally categorized as stringed or non-stringed. You can dance by holding glow sticks in your hand without using any strings. It can also be called as free-hand glowsticking where you sway your hands in different directions holding colorful glow sticks. Dancing to the music based on the beats simply brings you much fun. Freehand glowsticking includes taps, tracing, tossing, stalls and threading, and other funk style categories. However, glowsticking with strings need practice. 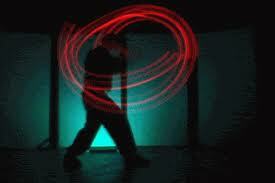 It is generally performed by those who are experienced in dancing with glow sticks. It is even termed as glowstringing. A string is attached to the end of the glow stick. The performer holds the other end of the string and swings it in different angles. They dance involves holding number of such strings. You can enjoy an elegant look of the movement of glowsticks in different patterns. Solo as well as group performances with glow sticks are really excellent and exciting to watch.